Ladies/ mens 4mm Antique Navy leather & sterling silver bracelet - Lyme Bay Art. 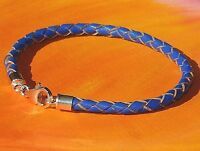 Ladies / mens 4mm Blue leather & sterling silver bracelet by Lyme Bay Art. 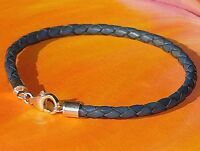 Ladies / mens 4mm Dark Blue leather & sterling silver bracelet by Lyme Bay Art. 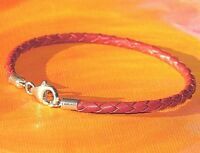 Ladies / mens 3mm Red braided leather & sterling silver bracelet - Lyme Bay Art. 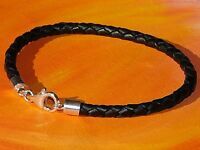 Ladies / mens 4mm Black leather & sterling silver bracelet by Lyme Bay Art. Ladies / mens 4mm Dark Brown leather & sterling silver bracelet by Lyme Bay Art. Ladies / mens 4mm Antique Red leather & sterling silver bracelet - Lyme Bay Art. Details about Ladies /mens 5mm Cream nappa leather & sterling silver bracelet by Lyme Bay Art. 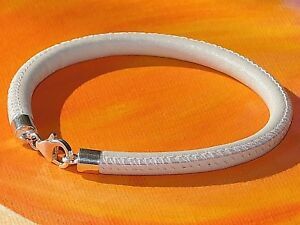 Ladies /mens 5mm Cream nappa leather & sterling silver bracelet by Lyme Bay Art. £0.00 P&P for each additional eligible item you buy from sunnysidmouthneil.